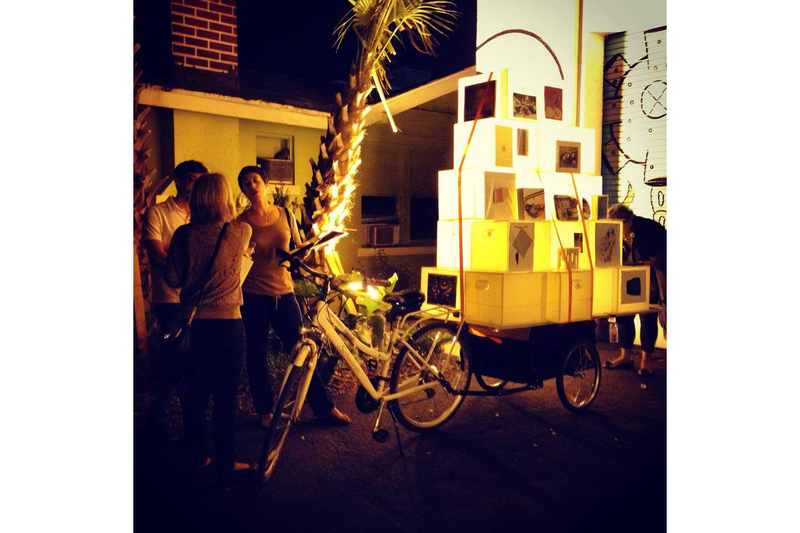 Commissioned by Remarkable Projects, “Portable Editions” is an exhibition space outside the traditional gallery context. 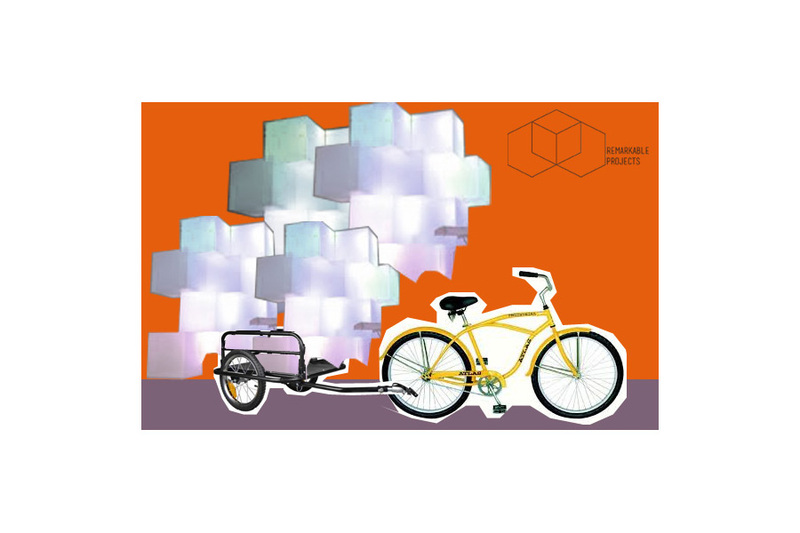 The concept developed for this fledgling arts organization was the humble work bike, which is used the world over by small enterprising business’ to move goods on a local/community level and embodies the DIY / locavore ethos of the project. 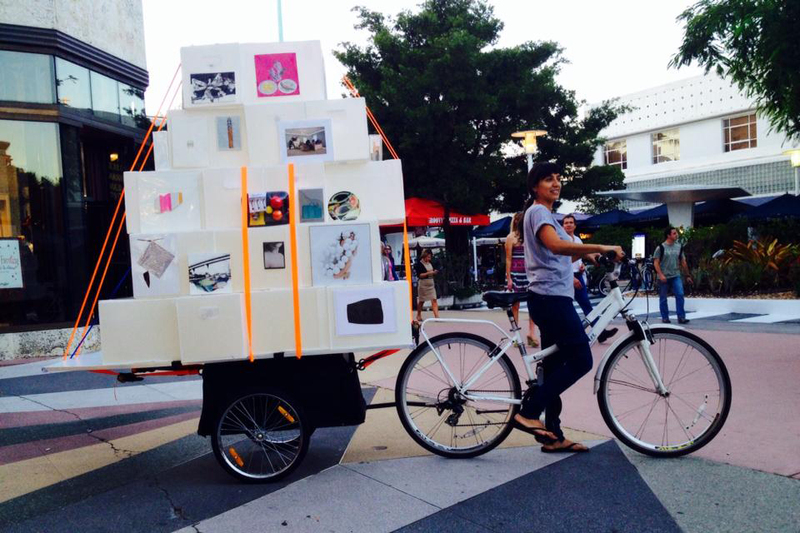 Corrugated plastic shipping boxes are stacked and strapped to a cargo bike and act as display cubes for the artwork. Illuminated from within with LED lighting, the glowing mass of boxes act as both a beacon to attract patrons and provides the necessary lighting to allow the project to be used night and day. Curated by: Juana Meneses and Leila A Leder Kremer, Remarkable Projects.